The end of the long bones covered with a smooth white glistening surface is called the Articular Cartilage. 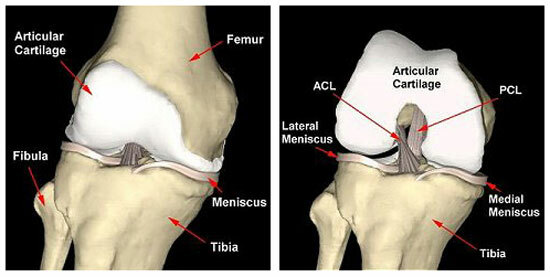 The Articular Cartilage helps in joint motion by lubrication and by preventing friction. This slick surface is designed to minimize pressure and friction as the joint moves. 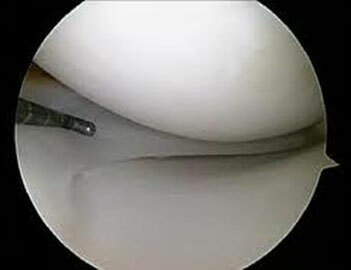 Cartilage Tissues are devoid of any nerves. They also lack supply of blood or Lymph Vessels, which normally nourish other parts of the body. Without a direct supply of nourishment, Cartilage is not able to heal itself if it gets injured. Injury or Lesions of the Cartilage can be superficial or deep. These rough spots or holes in the Cartilage can damage the design of the joint, due to which the joint becomes inflamed and painful. If the Injury, or Lesion, is large enough, the bone below the Cartilage loses protection. This adds pressure and strain on the unprotected bone which becomes a source of pain. Loose pieces of the Cartilage act like foreign body and can cause locking and catching of the joint.